Applying to college is daunting… sitting for the SAT’s (multiple times), visiting schools — comparing the academics, athletics, activities, dorms, and dining options of said schools. Then, choosing one, applying for financial aid, and after that, embarking on the application process (does admissions really read our essays?). Then… well, let’s sum the experience up: stress. Yet all steps are necessary for the grandiose, promised future they bring. To lower education costs, I chose an in-state school. After growing up in a small town in Massachusetts, bordering Connecticut, I selected the University of Massachusetts at Lowell(UML) — partly for academic and athletic reasons, but mainly because it was the farthest, in-state school I could find. For me, attending a school closer to home was never an option. I longed to meet new people, to have new experiences — I wanted the “college experience”. I needed it. Now, I’m here, living out my grandiose future. And I have to report that the college experience, good or bad, is what brought me here — to Northeast Addictions Treatment Center, on a mission to fight addiction. And I begin this endeavor at your schools. How did I come to find addiction as my calling? Past experiences. Education, athletics, people I’ve met along the way, and all the personality traits that are specific to me. I got here by living true. And I call all students to do the same. Can College Culture Kill the Experience? Something that is the same throughout campuses is college culture. What is college culture? The pride each school has in their football team, the small pizza shop where classmates meet at 2am after studying for finals, the people you meet along the way. The college experience is the unspoken rules of a university that students follow to fit in and chase that term that was marketed to us well. It’s a wonderful journey, one deserving of the stress we endured prior to enjoying it. Unfortunately, however, a component of this experience involves substances. 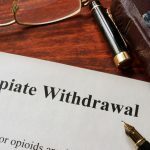 Many social and psychological factors influence addiction, and in college, the need to fit in and build a new support system away from home can play a major part in the disease’s looming presence. The college culture is dominant in a study by the National Institute on Alcohol Abuse and Alcoholism(NIAAA) which stated that in 2014, 59.8 percent of full-time college students ages 18–22 drank alcohol in the past month compared with 51.5 percent of people of the same age who are not enrolled in classes. The NIAAA also stated that about 20% of students meet the criteria for Alcohol Use Disorder. All those substances are found throughout campus, not just on the party scene. Even though they are often illegal substances, use can be overlooked as part of the college culture. Many assume it’s just a phase. But what if it’s not? 6.8% of all adults 18+ were diagnosed with substance use disorder in 2014 (NIAAA). So confront the reality of your personal experience. That way you can enjoy it fully. Your experience is not marketed to you prior to it happening. Your experience is now, and it’s unique to you. College culture is yours to define, so how will you? Look for recovery groups on campus. Start one. A clear mind exudes an influential cause. Take part in activities such as yoga or hiking. Talk with student activities and the counseling center to start your own club! Do what YOU enjoy. Others will follow. Start a dialogue. At Northeast, we’re looking to you to help us improve students’ experiences. With the northeast region drug epidemic on the rise, and overdoses taking the lives of students daily, it’s about time we joined forces and enforced self-care and life skills in sobriety and recovery. We all have one thing in common: we know someone who suffers from addiction. The future is grandiose, if you live your truth. What Makes Methamphetamine More Dangerous Than Other Drugs?